An introduction to a contemporary fragrance house. As components of the Great Beauty Concept go, scent is perhaps one of the most unique: being for the most part invisible, it serves a different role to its hair and make-up counterparts, while elsewhere it is simply more prone to a level of iconic status tools of the former elements find harder to attain. Certainly, there’s a reason fashion heavyweights have traditionally been more inclined to give their name to a chic perfume bottle than a chubby stick of gloss. For Ludovic Bonneton, the launch of Bon Parfumeur – a contemporary Parisian fragrance house – meant finally acting on a long term fascination with perfume. A former digital director for the French brand Yves Rocher, Bonneton’s line-up made its introduction with just 15 fragrances; designed to be mixed and matched – as much as scent can be – the bottles exhibit a clean aesthetic with subtle branding and a light colour palette, courtesy of Ronan Teissèdre. Below, Ludovic further fills us in. Prior to launching Bon Parfumeur you worked at other beauty brands, such as Yves Rocher. How has your experience influenced what you do today? I’ve been in the digital industry for 15 years now, but before working in the fragrance industry, I would say that I am a longtime amateur of fragrance. I have enjoyed changing and collecting perfume since I was a teenager. And was there a lightbulb moment in terms of launching the brand? I was in Colombia living with my family, and I had the desire to create something new. In Colombia, you are always surrounded by scents. Suddenly, I realised that there did not exist a perfume house that responded to my desire to change and to mix and match fragrances; that was when I decided to create a French house for people like me. Can you talk us through the Bon Parfumeur moniker, how did that come about? The name came up quite naturally. I wanted to pull from what I think are the “good” parts of French perfumery – “bon” meaning good – and create Bon Parfumeur. I didn’t want a marketing brand. And my last name, Bonneton, begins with “bon.” I love the meaning of “bon” in French; it means good (quality), but also nice in spirit. The “good spirit” being a lively core value for us. You’ve worked with six young perfumers to develop the scents. Where did you find the team? It is a very long and passionate story. When I decided to create Bon Parfumeur I met Raymond Chaillan (the creator of Yves Saint Laurent’s Opium) and then thanks to him within six months, I knew many different perfumers, each with his own unique style. The packaging is very distinctive; this was a collaboration with Ronan Teissèdre, right? I wanted to work directly with an artist and not through an agency. A friend of mine – working in the fashion industry – told me “I know the best person for you.” This is how I met Ronan. Ronan, formally at Sonia Rykiel, has a very complete experience, but most importantly, he is also a true artist. What kind of brief did you give him to work with? Happy, contemporary, Parisian, with a touch of arty. Each colour indicates a specific olfactory category. We have also indicated the three main notes on each fragrance, for instance, the 102 – in the floral category – the main ingredients are listed as tea cardamom mimosa. Bon Parfumeur is about having a perfume for every mood, every occasion – like building a wardrobe. Having these indications is useful to help demystify the realm of perfume. What fragrances did you grow up around – was there anything specific that you wore in your youth, or that members of your family wore? I was surrounded by so many fragrances! But even very young I liked to change from very mainstream to exclusive, niche fragrances. In my family, I remember Opium very well. Obviously the fragrance was previously sold at Wonderland’s bricks and mortar store, and has recently joined our online offering. In terms of where the fragrance is sold then, is it important that you have quite a curated line-up of stockists? We have a new approach to perfume for a new kind of consumer; they expect something unique in unexpected places. You will not find Bon Parfumeur in the traditional perfume department. We want to be where the new innovative brands are – our selection of stockist is representative of this desire to be unique. Finally, who’s your fragrance icon? Very difficult to say because I have many, but let’s say Jicky by Guerlain. Bon Parfumeur is available – here – at the Wonderland shop. 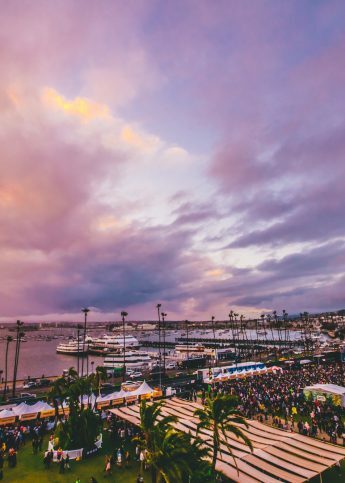 Introducing San Diego's epic sun-drenched house and techno festival CRSSD Fest. 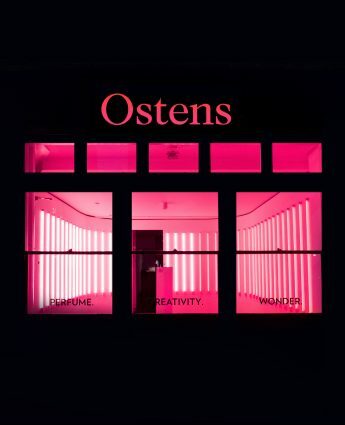 Ostens is the high-end fragrance brand going back to basics, and we're obsessed.